Pre-applied to surfaces, shortens the time required for all Anaerobic Adhesives to cure. 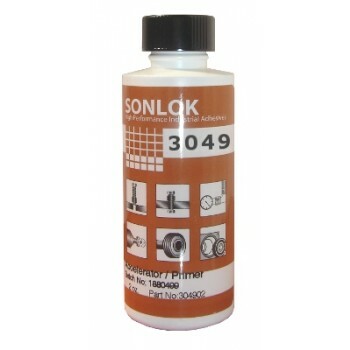 Works with all Retainers, Threadlockers and Sealants and Gasket Compounds. With only a 30-70 second dry time, this accelerator takes near to no time to use but could save you hours.